Wellest Integrative Health is a progressive physical therapy and wellness center dedicated to providing clients with the best, most personalized care in the Boston area. 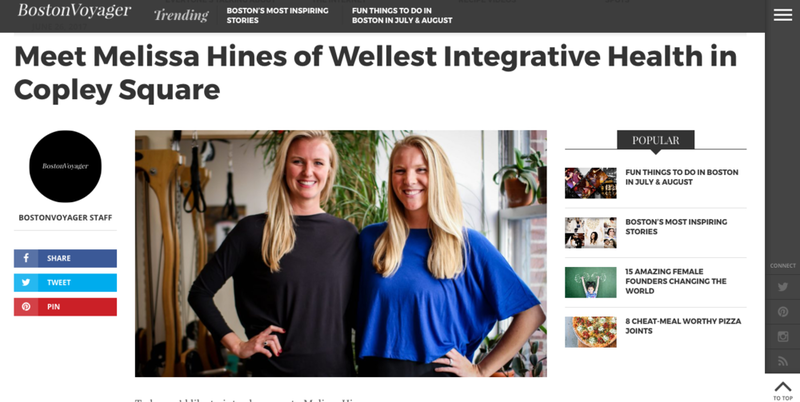 Wellest Integrative Health is an integrative physical therapy and wellness center in Boston, Back Bay. Melissa Hines, PT, DPT is a licensed physical therapist with specialties in myofascial release, women and men's pelvic floor physical therapy, pregnancy/postpartum, chronic pain, orthopedic conditions, sports injury, fibromyalgia, and myofascial pain syndromes. "I went to Melissa and left pain free for a number of days! This to me, was a miracle. As was all her treatments. If you want to feel better, live without pain, listen to this modern day miracle worker. She is amazing."